April 9, 2019 in category Chamber Blog, News tags oil region, Oil Region Alliance, ora, tourism, venango county, visitor guide and 0 comments. 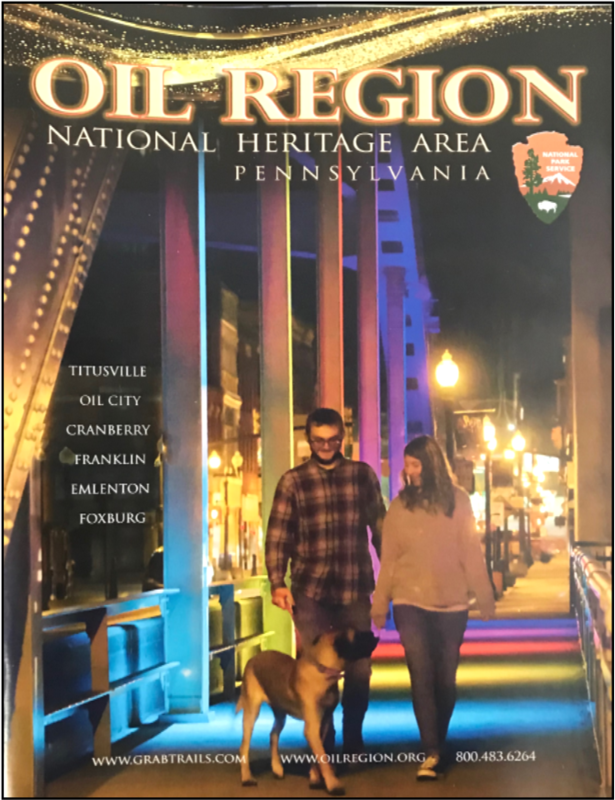 The Tourism Promotion Advisory Council, a committee of the Oil Region Alliance of Business, Industry & Tourism (ORA) has recently published the newest version of the Oil Region National Heritage Area Visitor Guide (pictured right). This magazine style guide is full of area amenities and historical information. Following a “trails” theme, the guide takes you through the region touching on heritage, recreation, and attractions as well as culture, food and drink, and shopping. There are also detailed maps of local cities and descriptions of local parks. It’s packed with activities, events, and things to do in our region as well as great photos and information. A PDF version will be available on the oilregion.org website in the coming weeks. Grab your copy at the ORA office, located at 217 Elm Street in Oil City, or at the Chamber. If you’d like a larger amount of copies to have at your business, call Emily at (814) 677-3152. This article was published in the Venango Area Chamber of Commerce’s April 2019 VenangoWorks! Newsletter.